A persons feet are the foundation of their body – they support us when we walk, run or stand. When all of the muscles, arches, and bones of the feet are in their ideal stable positions they also help to protect our legs, muscles and spines as we move. A healthy foot has three arches that support us by distributing our weight and acting as “shock absorbers”. If any of these arches are not properly maintained the other arches have to compensate which sets up a chain reaction that can compromise our entire structure of our body. Orthotics are inserted in the shoes to help relieve imbalances in the body, and to help with pelvic & spinal distortion. There are prescribed styles of flexible, custom-made foot orthotics that have been scientifically designed for the unique postural problems of the individual, and that help to improve total body wellness. 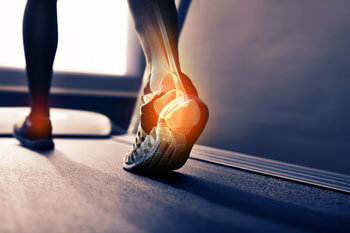 Orthotics help the feet maintain their structural and functional balance in standing, walking, and running. Drs. Jones and Purser have been helping patients with orthotics for years, and they would love to help you too. Call today to make an appointment.